Despite the statements and hopes that the end of 2018 will bring about a return to practicality, it is still difficult for applicable projects to break through the information noise. 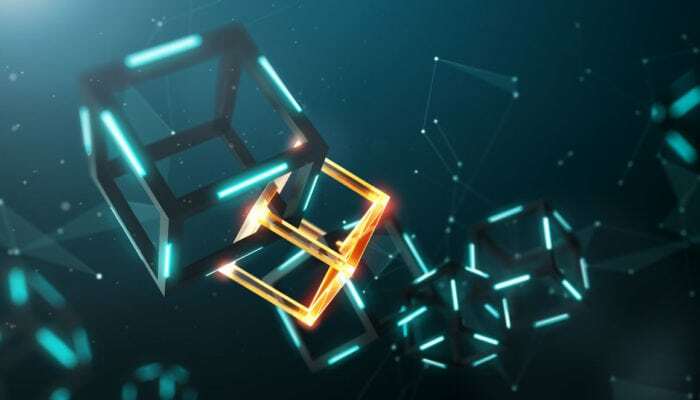 We have picked out four noteworthy blockchain projects that have not yet gained traction in the media, despite featuring a range of out-of-the-box solutions. Problem: The increasing complexity of production, supply chains and urban life that people cannot handle any more. Robonomics Network is an Ethereum network infrastructure for the integration of robotic factories into smart cities and Industry 4.0. Since 2015, the team of scientists and blockchain developers based in the Russian city of Tolyatti have been working on a network which allows autonomous robots to cooperate with one another: making economic decisions without human intervention. The network’s purpose is to distribute, control and provide services using cyber-physical systems. Robonomics Network is adaptable to human needs, built on the basis of existing market mechanisms and is directly accessible to the end user. By expanding the capabilities of the basic communication protocol, robots are able to interact with market mechanisms and contractual obligations. As such, the platform provides tools for designers of new cities and industrial zones to provide direct user access for ordering products from autonomous factories directly. Besides problem-solving on a localized scale, the platform is able to solve the global issues. In 2017, the world’s first international blockchain-based transaction for the transfer of carbon units was conducted using Robonomics, with technical support from Microsoft. Another of the platform’s applications can be found in combating wildfires. Disasters such as the one we witnessed this year in California may well have been avoided if the authorities used Robonomics-based unmanned drones, which monitor forests using thermal cameras. This fully autonomous system is able to work all year round, has been successfully tested and put into service by the authorities in Tolyatti. Problem: Limited capability to spend cryptocurrencies in day-to-day life limits the growth of the crypto industry. Solution: Enable stores and cafes to become cryptocurrency merchants. The majority of merchants still don’t accept cryptocurrency due to the lack of an easily-customizable payment infrastructure, the volatility of cryptocurrencies and their inability to be used in fast microtransactions. Cyclebit believes massive price fluctuations could be mitigated by widespread ownership and usage, facilitated by providing easy ways to pay with cryptocurrency. The startup came has a solution which allows any point of sale to install an iOS and Android-supported application running to receive digital currencies as simply as fiat money. The app facilitates payments from online crypto wallets as well as those from old-fashioned banks. The solution is now being deploying across 130 Nostrum coffee shops throughout Spain where customers can pay for a cappuccino in BTC. The startup already has access to a working ecosystem provided by Ibox – an omnichannel payment platform with 200,000 point-of-sales earmarked for imminent roll-out. Problem: PoW and PoS algorithms suffer from centralization and hinder micro-mining. Solution: Use the Proof of Assignment algorithm to make mining possible on basic IoT devices. IOTW is an IoT blockchain infrastructure characterized by instantaneous throughput achieved by Proof of Assignment protocol. It enables micro-mining and instant transactions on all connected devices without any extra hardware, thus bringing blockchain to household industry and business. Proof of Assignment makes the network leaner and faster – hence making it more suitable for IoT devices – and eliminates the centralization problems faced under Proof of Stake. “Block Witnessing Protocol” provides extra network security compared to traditional blockchain architecture. It does this by utilizing a witnessing pool, making the network smaller and holding hundreds of times fewer copies of ledgers. The product has been tested on over 1,000 IoT devices running on a single trusted node on the blockchain. Current transaction speed tests have shown results of 3,000 transactions per second (tx/s) for long distance transactions and 100,000 tx/s for local ones. Problem: Wealth management services underuse blockchain due to the low-trust environment of the crypto-sphere. Solution: Allow people to manage their wealth using a platform based on the blockchain, AI and deep learning. Trustverse is a personal wealth and digital asset management platform designed around the use of the blockchain and artificial intelligence (AI). It is a deep-learning based digital assistant for almost every facet of digital holdings. The platform, powered by an AI deep-neural and multi-data financial portfolio optimization engine, provides a reliable smart contract system that simplifies legacy planning, inheritance organization, and the transfer of digital assets. It works as a one-stop shop for everything people need: from managing their portfolios, taxes, identities to distributing their assets after death. The Trustverse platform contains a host of tools for digital wealth management. “Life scheduling services” can be arranged via smart contracts, and these can be used to assets derived from inheritance, all on a public blockchain. Unlike traditional financial services where a particular organization stores customer personal data on a centralized server, TrustVerse does not store any personal data. Instead, it provides services to users authenticated by a technology jointly developed with Microsoft.